Good Resume Writing is much easier than you might expect. 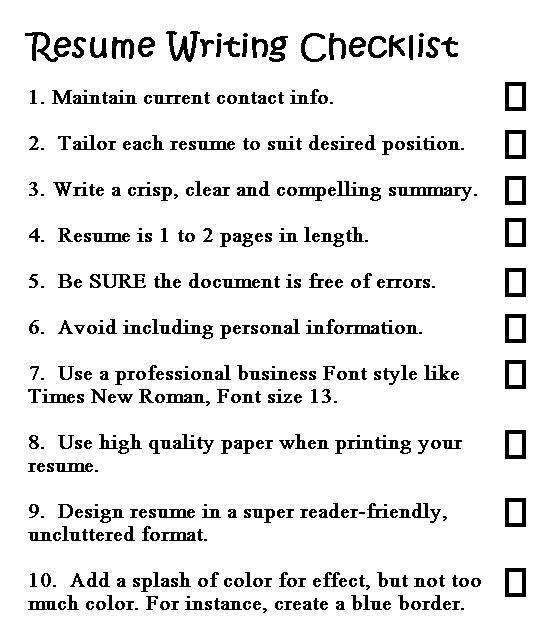 Anyone can write an excellent, top quality resume by following the simple instructions and templates outlined below. Scroll down for a free printable collection of professional resume templates for actors, administrative assistants, bartenders, manual laborers, nurses, office managers, and general employment positions of all kinds. Hit any link shown below for complete, easy instructions and more than a dozen free printable resume samples. Jobs in the Field of Performing Arts. This template is recommended for actors, models, singers, dancers and musicians. Employment in the Food Service Industry, such as food preparation, table side service, bar tending and restaurant management. Resume Template for Administrative Assistants. Resume for Employment as a Cashier in a retail environment. Office Manager Resume. This will be appropriate for management and team leader positions in most corporate settings. Nursing and other healthcare professions. This resume will help you organize your skills into a super reader friendly format. Sales Associate and Customer Service Positions. This one is especially appropriate for landing jobs on the sales floors of retail stores. Finally, click Here to learn Good Resume Writing for a general, all-purpose employment resume. This template is designed for people seeking jobs where no special skills or work experience are required. Highly recommended for high school graduates (or equivalent) and college students. Enhance any of the above resume samples by adding your own touch. Personalize, individualize, and customize your own resume. Customization is especially recommended for artists and people with unique skill sets. For anyone seeking acceptance for any endeavor, Good Resume Writing is essential to your success! Go Here for a free printable Cover Letter template to go with your professional resume. Hit this link for a multi-purpose Letter of Recommendation. Go here to learn How To Make Google Money Online. To print this checklist, just right click on the image and SAVE it to your picture file.